BACK BY POPULAR DEMAND!!! Lightwire Theater’s A Very Electric Christmas is coming back to the Egyptian Theatre. Follow the story of a young bird, named Max and his family, as they begin their journey south for the winter. When Max gets blown off course and ends up at the North Pole…his adventure begins! Dancing toy soldiers, caroling worms and performing poinsettias, light up the stage in Lightwire Theater’s A Very Electric Christmas. Audiences of all ages will treasure this magical and captivating tale of family, friendship and hope set to timeless holiday hits, including Nat King Cole, Mariah Carey and Tchaikovsky. Lightwire Theater is internationally recognized for their electroluminescent artistry, poignant story telling and performs in complete darkness. 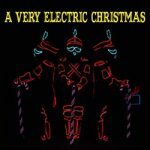 Brighten your holidays this season with Lightwire Theater’s A Very Electric Christmas.